If you enjoyed the first one, there's no doubt you'll enjoy this bigger and more explosive sequel. 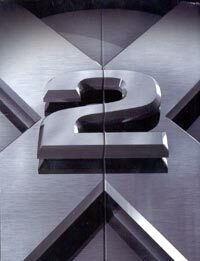 The first installment was an introduction to the lead players: Prof. Xavier, Wolverine, Jean Grey, Cyclops, Rogue, and villains Magneto and Mystique. Some of the new mutants include Nightcrawler, Wolverine's equivalent Lady Deathstrike and the two annoying teen heartthrob additions of Pyro and Iceman (briefly seen in the 1st). A dozen mutants should provide apt entertainment. Their triumphant return in fighting for the good image of mutants throw new adversaries in their path and force them to hook up with some old enemies to oppose their common foe. A new anti-mutant surfaces with a military background, intent on wiping all mutants from the face of the earth. This also brings Wolverine closer to excavating his past. Personally, I don't find the escalated scale to improve upon the enjoyable first installment's foundation laying-mood, stylish action, emotion and alienating sense within the heroes and understanding in the villains. 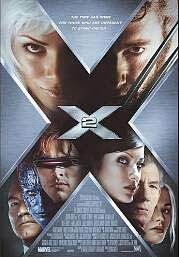 Regardless of the budget & hype and the numerous spotted continuity errors thus far, the film is a fine cocktail of explosive entertainment and tolerance comment, but no mind-blower.